And the loop goes on and on in the endless space-time continuum. I am pretty sure, not even ‘pretty’, a hundred percent sure, that all you guys have had a group chat which went the exact same way as the one above, right? It is alright. We have all been there and we will be there once again. If not Goa, then somewhere else for sure. Money is – like what Ranbir Kapoor had infamously said in the movie ‘Yeh Jawaani Hai Deewani’ – dust on the palm of a hand. Especially with the lifestyle we live now and the growing responsibilities, we don’t have a track of our money – it comes and goes at the speed of light. But can you imagine a trip where you spend less but enjoy the most? It can get difficult, you must be thinking. “We have to compromise somewhere”, is what is going on in your mind reading this right now, isn’t it? Spending less doesn’t always mean compromising. You don’t spend less, you spend smart. When you do that, you automatically realise that you have money for other things you really want to do. So how do you spend smarter and save better? When I say save better, it is NOT for you to get your precious money back home. If that happens to you after reading this article, please let me know how you did that. But jokes apart, spending smarter is not indulging in something which can be done cheap and saving better is to actually do the things which can matter more than something else. Disclaimer – You are going for a trip, so make sure you spend smart at the beginning of the month especially if your trip is mid-month. Avoid all those fancy lunches or dinners, especially the pub hopping. Secondly, another smart move is – plan your leaves. Don’t be finicky and take one day off and add a weekend in between making it THREE days. But it’s okay if you can’t take leaves, in that case, travelling by air is a boon for you. Flight tickets to Goa do not go above INR 3000. So spend on your travel ONLY if you have fewer leaves. If you are smart and have saved up your leaves, take the bus. Buses are comparatively a bit more expensive than trains but can get you in Goa overnight. However, if you want to catch countryside scenery, take the train (if you are travelling from anywhere in the Konkan belt, the train is cheap, fast, scenic, and the best way to get to Goa). In the city, scooters are the best way of travelling and also you can explore or travel the beaches and restaurants near you by foot itself. If you have a good budget, there are amazing villas on Airbnb which boasts of a scenic view, a pool, and beautiful rooms as well. Airbnb can also be opted for if you are a gang of people and can share the expenses. A good Airbnb villa can cost you up to INR 5000-6000 per night. So if you are travelling on a budget, this is not a ‘spend smart’ moment. Where can you stay to spend smarter? The hostels in Goa are some of the funkiest and amazing hostels in the country. They radiate awesomeness with various graffiti designs all over their walls and surroundings. There are books to read, clean bathrooms, good food, amazing alcohol, and also it’s CLOSE TO THE BEACH! If you really want to stay in a hostel, it will not burn a hole in your pocket and also get you acquainted with a lot of other people, Indians and Foreigners alike. Some of the best hostels in Goa are in Anjuna about 500 meters from the beach. Living in these hostels will cost you a mere INR 600-700 per night. Cheap, right? There are other economical options in Calangute as well if you really want to stay close to the beach and spend smartly. However, if you want to want to stay away from the hustle and bustle of Goa, you can find options to stay in places like Arambol in North Goa or even Majorda Beach in North Goa. 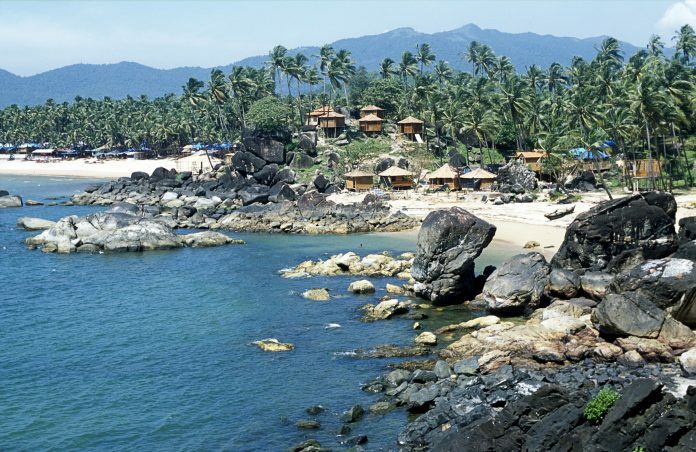 Even though the prices are slightly on the higher side, North Goa is a beautiful place to be. Clean, often unpopulated beaches and good places to stay as well. Goa is known for its beaches, culture, and of course the food. 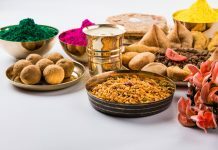 The goanese cuisine is perhaps the most beautiful mixture of an Indian and Portuguese blend mixed up with amazing spices. The restaurant business is HUGE in Goa as there are tourists all the year round from all over the world. So if you want to spend smarter and save better, make sure you have a good meal from a nice restaurant, for one meal of the day. Either breakfast, lunch, or dinner. I would personally suggest dinner as there are amazing parties in Goa in the nights, whether it is Tito’s in Baga or Thalassa in Baga, or even Love Passion Karma in Bardez, you will tend to spend more. Sample some Goan style Pomfret curry or the famous pork and seafood dishes! Hence, instead of going overboard during breakfast or lunch, spend smart there, and save better for those amazing parties. But, when it comes to breakfast, Cafe Lila in Anjuna and Infantaria in Calangute are a must visit. So in your time in Goa, save better for these breakfast places. You will not regret it. Saved better? What do you do now? Parasail, scuba dive, take a dolphin cruise, go to the hills in Goa, drive ATVs, hire a Jeep for a day and take advantage of Goa because the aroma of Goa will always be there, stuck in your mind and will make you want to go back. Always!